A Diamond Select Release. One of the most powerful members the X-Men have ever known, Cyclops' ruby quartz lenses hold back Scott Summers' raw solar energy and allow the leader of the X-Men to control his optic blasts. 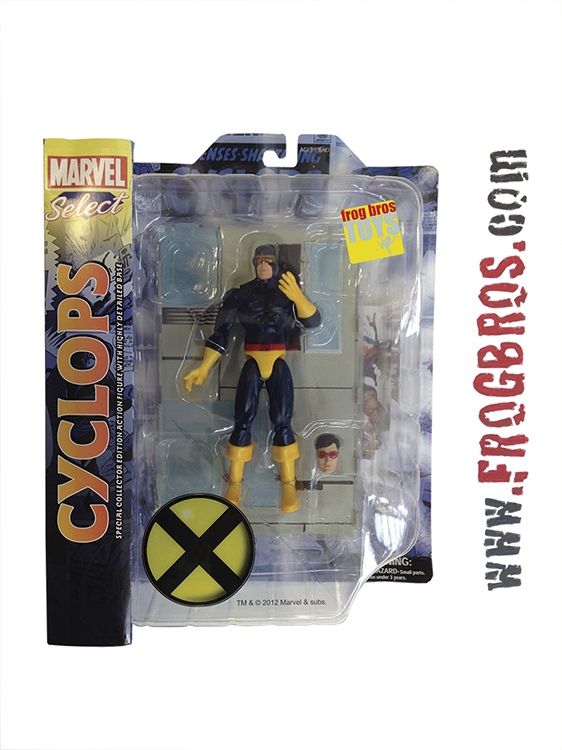 This seven-inch Marvel Select release features the mutant in his most famous classic look and features an interchangeable unmasked head, multiple points of articulation and a Danger Room base for the ultimate X-Men display.